Whether jetting internationally or making a local trek, these travel-swag ideas are sure to make your customer’s next business trip even better. 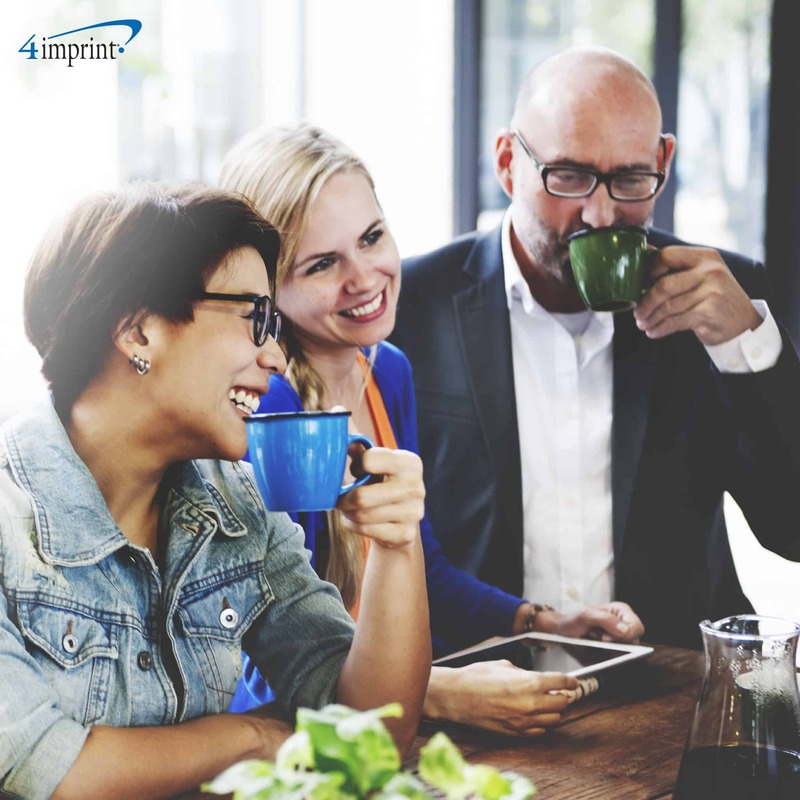 Our featured lineup is all about comfort, convenience and peace of mind—things customers and employees are sure to appreciate. 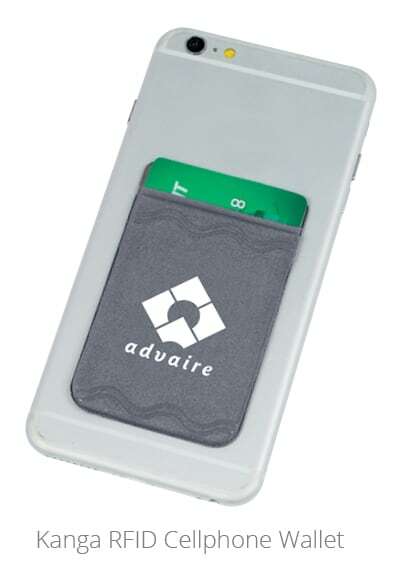 RFID technology keeps travelers’ personal information secure while on the go. 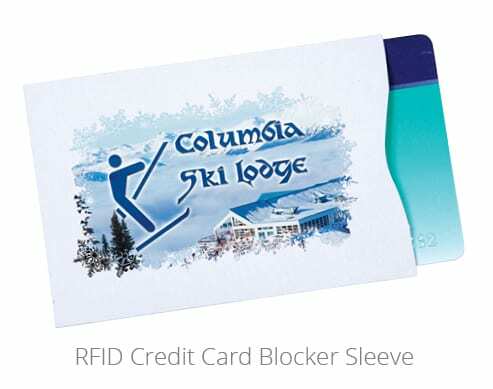 The RFID Credit Card Blocker Sleeve safely stores a credit card, driver’s license or both. Protect personal info and promote your brand! 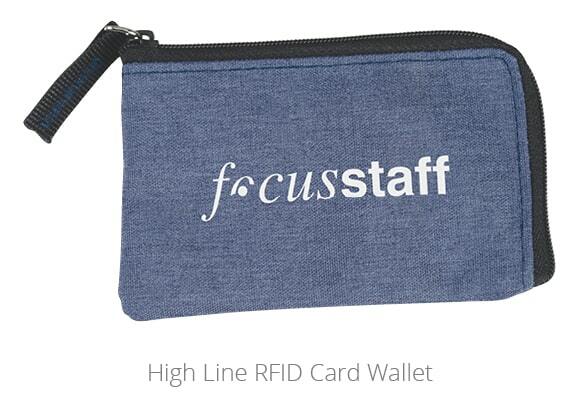 This High Line RFID Card Wallet holds an ID, passport, credit cards and cash. 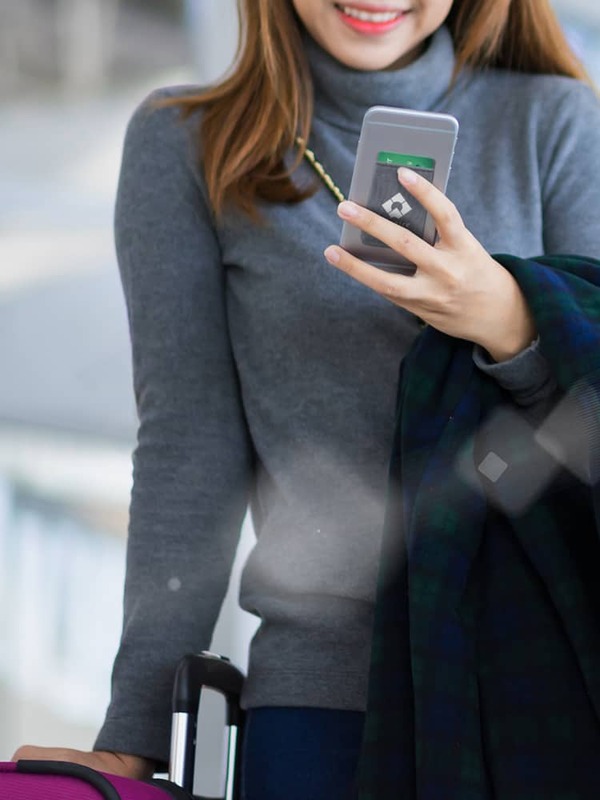 For those who don’t carry a wallet or purse, the Kanga RFID Cellphone Wallet offers RFIDblocking protection for five or more cards—and it conveniently adheres to the back of their phone. Weather conditions can be unpredictable. And no road warrior wants to lug a heavy jacket. The Cutter & Buck® Rainier Packable Jacket is available in both men’s and ladies’ styles. This lightweight, wind- and water-resistant jacket easily folds up into its own pocket for easy carrying, making it a perfect business travel gift. 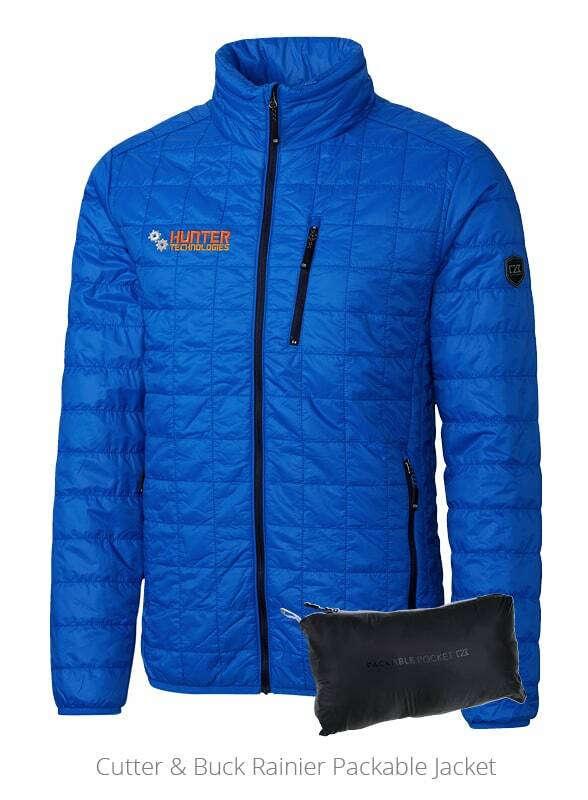 This packable jacket is convenient to carry and quick to put on. 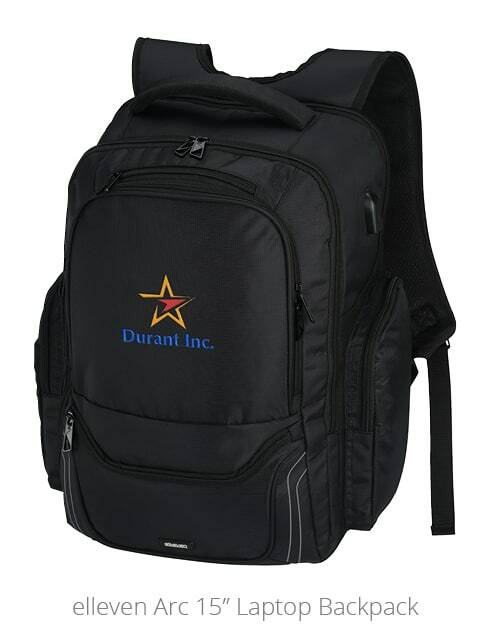 For travelers wishing to make the most of their airtime, the elleven Arc 15″ Laptop Backpack safely houses multiple electronics and includes RFID-blocking technology to help protect their personal information. This bag also has a built-in USB port for easy charging. Looking for a multifunctional bag? 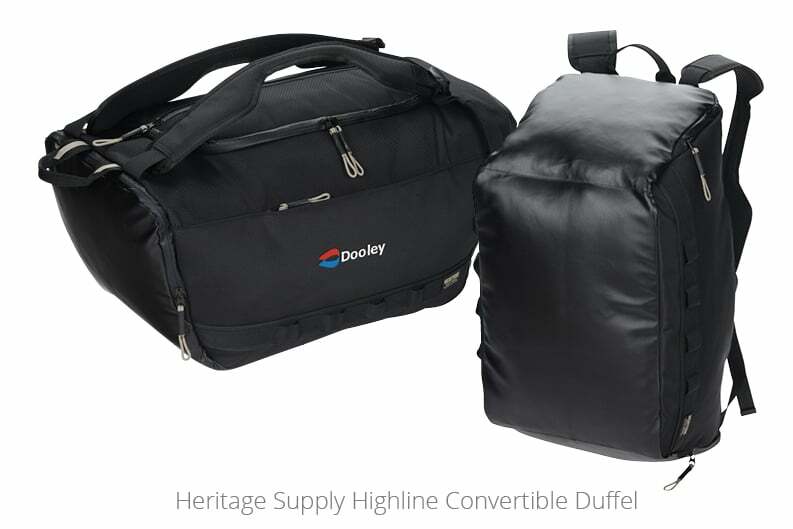 The Heritage Supply Highline Convertible Duffel is a great choice. It easily converts from a duffel bag to a backpack, making it the perfect carry-on bag. And later it can become a convenient backpack for jetting around town. Easily converts to a backpack! 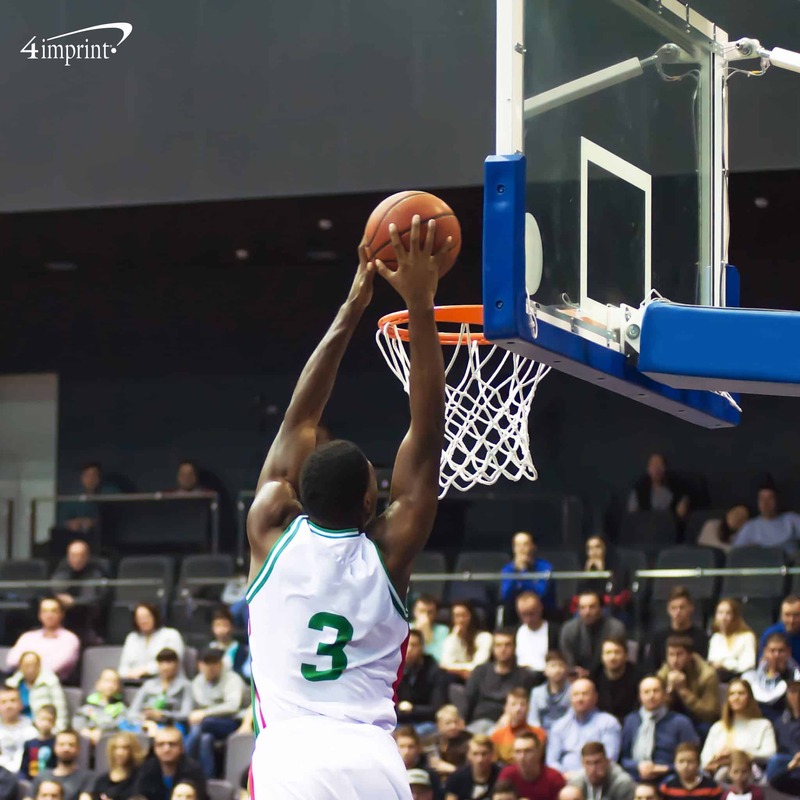 Your brand will keep travelers from the monotony of a long flight by encouraging creativity. The Torsby Custom Notebook with Pen, perfect for doodling or jotting notes, makes a stunning business travel gift. 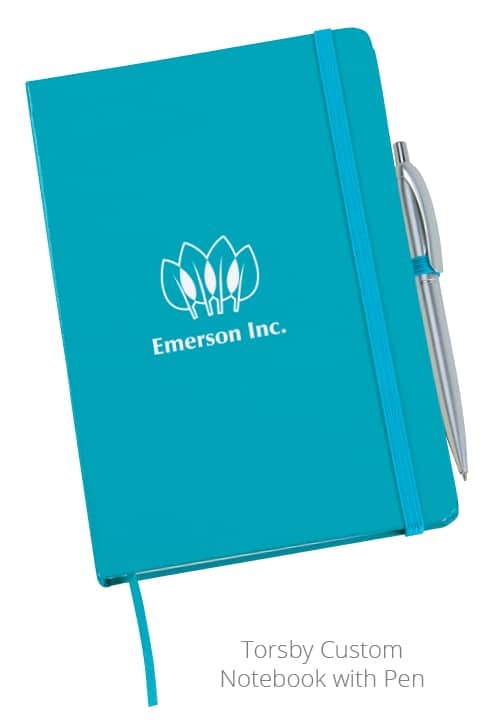 This notebook is a great way to show appreciation to your traveling team or offer thanks to visiting customers. A growing number of travelers are carrying water bottles with them. Keep your logo by their side with the h2go® Houston Vacuum Bottle, which comes in eight colors. Dual-wall insulation helps prevent condensation from forming on the exterior and soaking carry-on contents. 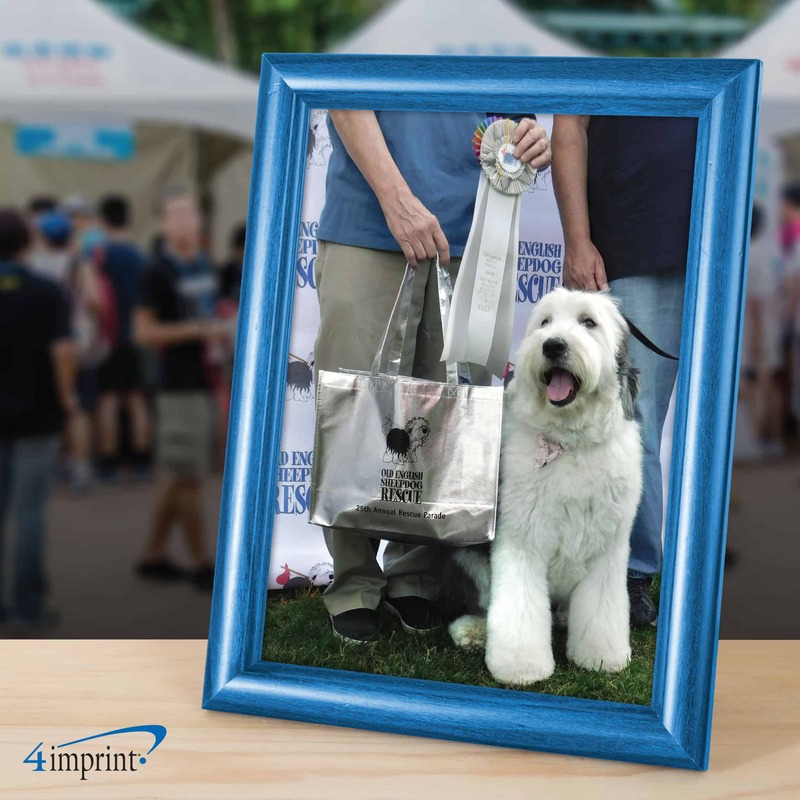 Custom vacuum insulated bottles with your logo! On-the-go travelers who find themselves less than fully charged at the gate will be grateful when you power them on the move. 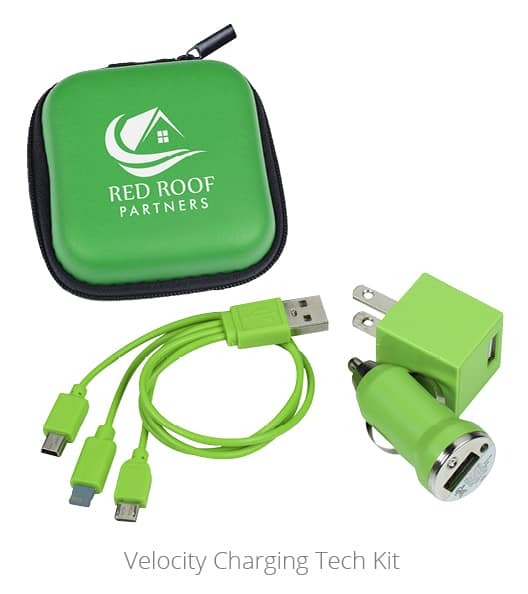 The Velocity Charging Tech Kit contains a USB car charger, USB wall adapter and 3-in-1 charging cable so they can power up no matter where they are. 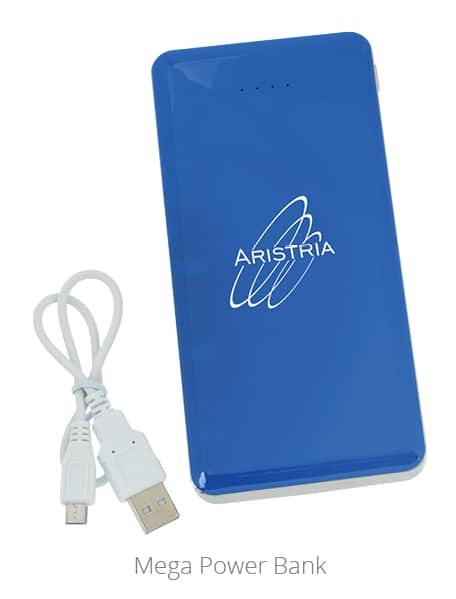 The Mega Power Bank comes to the rescue when they need to power up their phone and iPad® at the same time. 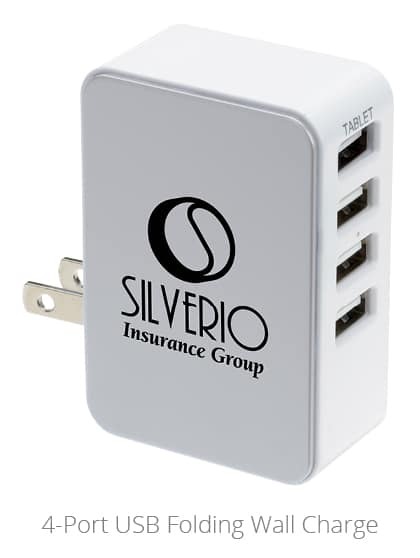 The 4-Port USB Folding Wall Charge powers multiple devices at once, is lightweight, portable and perfect for use at hotels, airports and more. Create a custom charging station! 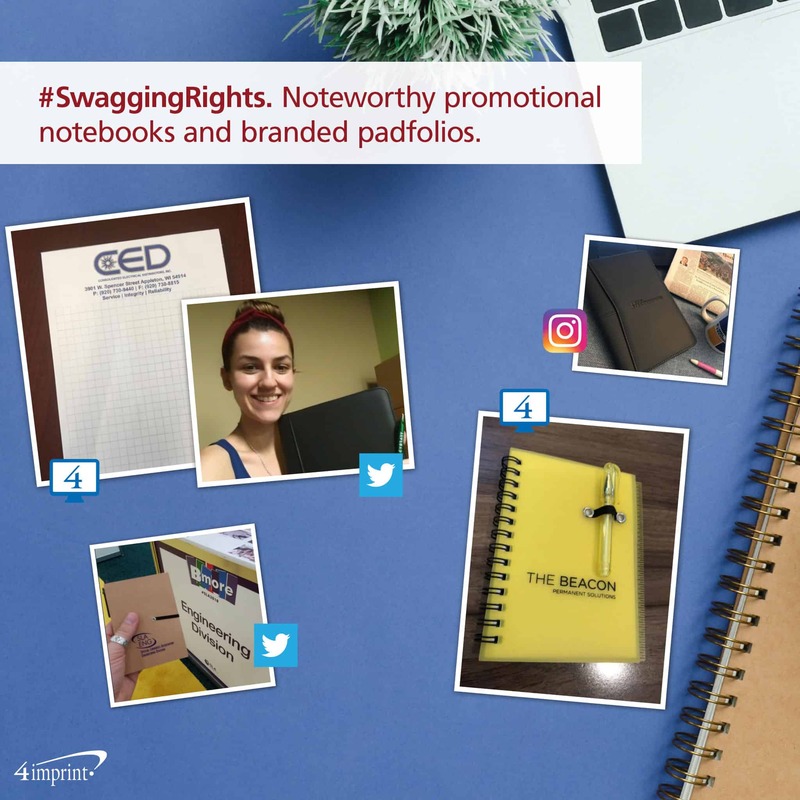 We hope these travel swag ideas get your employees and customers to their destinations with ease. Here’s to a great trip!